A CAR-T late breaker from Kite Pharma and sickle cell disease updates from recently acquired Oklahoma biotech, Selxys, lead Scrip's handpicked top 10 data presentations you shouldn't miss at this year's American Society for Hematology annual meeting, held in San Diego, Dec. 2-6. The American Society for Hematology's annual meeting kicks off on Dec. 2; to get you ready for attending this year's meeting or to help you know what to lookout for online, Scrip has selected 10 of the most exciting data readouts expected at the San Diego-based event. Kite Pharma Inc. has managed to overtake Selexys Pharmaceuticals Corp. as the most anticipated company to present data at ASH 2016, as the former will discuss pivotal data for its CAR-T therapy, KTE-C19, during the late-breaking abstract session on the last day of the meeting. Prior to Kite's late-breaker announcement on Nov. 22, conference attendees and analysts had been excited to see data for Selexys' sickle cell disease therapy, as Novartis AG recently decided to act on its 2012 option to acquire the smaller company – a deal worth up to $665m. Kite will present data from an interim analysis of the pivotal ZUMA-1 trial of its chimeric antigen receptor (CAR) T-cell therapy, KTE-C19, in patients with refractory aggressive non-Hodgkin’s lymphoma (NHL). The company previously released interim topline results from the ZUMA-1 trial in September 2016. This topline analysis from Kite’s Phase II trial revealed that refractory diffuse large B-cell lymphoma (DLBCL) patients treated with KTE-C19 exhibited an overall response rate of 76% and a complete response rate of 47%. While the ORR and CRR fell to 39% and 33% at three months, respectively, these data are still impressive compared to the 23% ORR and 8% CRR exhibited by refractory DLBCL patients in the SCHOLAR-1 study. SCHOLAR-1 (Retrospective Non-Hodgkin Lymphoma Research) is a retrospective analysis of patients with chemo-refractory DLBCL that looked at data from Phase III studies from the Canadian Cancer Trials Group and LYSARC (CORAL Study) and large retrospective databases including from the MD Anderson Cancer Center, Mayo Clinic and University of Iowa Specialized Programs of Research Excellence (SPORE). In the study, 635 patients with chemo-refractory DLBCL were eligible for evaluation; all patients must have received an anti-CD20 monoclonal antibody (unless CD20 negative) and an anthracycline as one of their prior regimens. Despite KTE-C19's initial strong performance in refractory DLBCL patients, concerns have been raised over patient deaths in the ZUMA-1 study and analysts at ASH will be looking for further insights into adverse events seen in the Phase II study. Datamonitor Healthcare analysts Dustin Phan told Scrip: "These data demonstrate promising efficacy and suggest that KTE-C19 could achieve accelerated approval if the six-month response rate is as strong as the three-month response rate data already reported." Nonetheless, Phan noted there continue to be concerns regarding the two patient deaths on trial due to cytokine release syndrome (CRS). While such adverse events are a known side effect of CAR-T therapy, Kite has stated they will continue to analyze the data for predictors of toxicity. The data presented at ASH will be from an analysis of 93 patients with at least one month of follow-up at cutoff. The larger patient population compared with the last data release will hopefully provide additional insight into the drug’s efficacy and safety in DLBCL. "While these data are impressive thus far, KTE-C19 will need to continue to demonstrate durability of response to gain the confidence of regulatory bodies," Phan said. Additionally at ASH, data from another cohort of ZUMA-1 containing transformed follicular lymphoma (TFL) and primary mediastinal B-cell lymphoma (PMBCL) patients will be presented. Results thus far are "similarly promising" in this cohort, Phan said, with an ORR of 91% and a CRR of 73% (both fall to 64% at three months). However, this interim analysis only contains 11 patients, and larger patient populations will be necessary to better assess the drug’s safety and efficacy. 2. What Has Novartis Acquired With Selexys Buy? 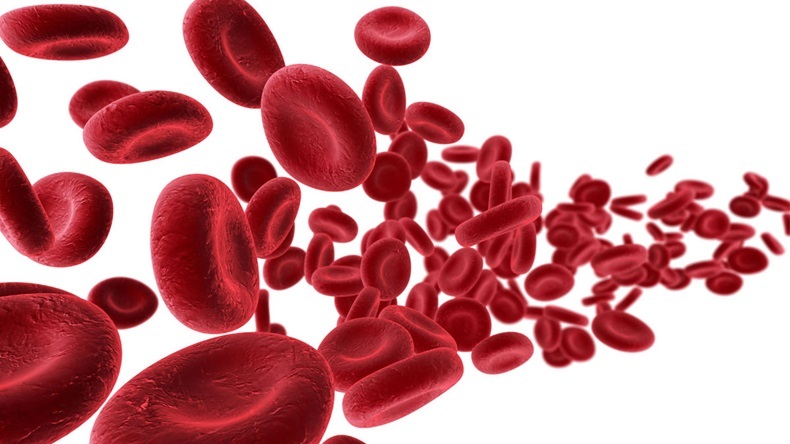 Phase II data for Selexys' SelG1, an anti-P-selectin antibody being evaluated for the reduction of vaso-occlusive crises (VOC) in patients with sickle cell disease, will be presented on Dec. 4 during the ASH annual meeting. The day before Kite's late-breaking abstract announcement, Novartis acted on a 2012 option agreement to purchase Oklahoma City-based Selexys for up to $665m in upfront, acquisition and milestone payments. There have been several recent failures of potential sickle cell therapies at late stages of development. In September, a second Phase III study of Mast Therapeutics Inc.'s vepoloxamer failed to show that it reduced the duration of VOC compared with placebo, and the company said it was thinking of terminating all clinical development of the product. A week earlier, Emmaus Life Sciences Inc. found the submission of just a single Phase III study in its US NDA for pharmaceutical grade L-glutamine to treat sickle cell disease was being questioned by the FDA. The agency would prefer data from two Phase III studies. As such analysts will be eagerly awaiting Selexys' data, which is expected to be positive following Novartis's buyout announcement. Sickle cell disease is a hereditary blood disorder characterized by sickle-shaped red blood cells. It is a life-long disease with many forms that can range in clinical severity from asymptomatic to life-threatening. VOC, or pain crises, are the major reason for healthcare encounters in sickle cell disease and occur episodically when sickle-shaped red blood cells block blood flow through blood vessels. SelG1 is based on the concept that blocking P-selectin ‒ an adhesion molecule that causes cells to stick together ‒ may help avert VOC in sickle cell patients. Current treatment for sickle cell anemia is usually aimed at avoiding crises, relieving symptoms and preventing complications. Bone marrow transplant offers the only potential cure. Competing with Kite's KTE-C19, Novartis is also due to present first data from its Phase II registrational trial for CAR-T therapy CTL019 in pediatric and young adult patients with relapsed/refractory acute lymphoblastic leukemia (ALL). CTL019 was previously granted Breakthrough Therapy designation by the FDA in July 2014 for this treatment setting and also received a PRIME designation from the European Medicines Agency in June 2016. Data for CTL-019 continue to demonstrate clinical activity in refractory pediatric ALL patients but, similarly to KTE-C19, safety and toxicity concerns have been raised for CTL-019 related to CRS. Approximately 82% of patients thus far in this Phase II trial have experienced CRS, with as many as 44% of those patients requiring anti-cytokine therapy. Furthermore, two early deaths occurred prior to initial disease assessment, one due to disease progression and one due to intracranial hemorrhage, while an additional two patients failed to respond. "CTL-019 will likely have to demonstrate impressive efficacy while managing safety and toxicity if Novartis continues to seek a rapid approval," Phan told Scrip. Preliminary data will be presented at the meeting from a Phase II trial investigating the safety and efficacy ofRoche/AbbVie Inc.'s Venclexta (venetoclax) in combination with Rituxan (rituximab) with or without bendamustine for patients with relapsed/refractory follicular lymphoma. Biomedtracker analysts have noted that preclinical and early clinical data suggest the addition of Venclexta to Rituxan with or without bendamustine may improve response over Rituxan or chemotherapy alone. AbbVie will hope to see these positive effects repeated in this larger study. Venclexta was approved in the US and Europe (where it is known as Venclyxto) for use in CLL patients in April and October this year, respectively. Stemline Therapeutics Inc. will present updated results from the ongoing Phase II trial for SL-401 in blastic plasmacytoid dendritic cell neoplasm (BPDCN). According to the available ASH abstract (#342), SL-401 achieved an impressive 86% ORR in 29 patients in this study. Stemline won a Breakthrough Therapy designation for SL-401 in the US in August this year based on previously reported Phase II data in BPDCN patients. Stemline will also be presenting early SL-401 data at ASH from ongoing Phase II studies in AML patients and patients with myeloproliferative neoplasms. SL-401 is a recombinantly expressed fusion protein comprised of human IL3 conjugated to diphtheria toxin. The drug is designed to target the IL-3 receptor which is highly expressed on some cancer stem cells. 6. Will CTI's PERSIST-2 Study Meet Co-Endpoint? CTI BioPharma Corp. will present full Phase III data for pacritinib from the PERSIST-2 study, which is testing the drug in patients with myelofibrosis and thrombocytopenia (less than 100,000 platelets per microliter), who are considered to have a shortened median survival time compared with myelofibrosis patients with normal platelet counts. CTI BioPharma released topline data from the PERSIST-2 study in August this year; preliminary efficacy analysis showed pacritinib therapy was associated with a significant response rate in spleen volume reduction, a co-primary endpoint. However, the drug did not meet the second co-primary endpoint of a greater than 50% reduction in total symptom score (TSS), although it was approaching marginal significance (p = 0.0791). The fate of pacritinib is also critical for Shire PLC, which has a licensing agreement to jointly commercialize pacritinib in the US with CTI BioPharma and has exclusive commercialization rights for all indications outside the US. Among the large number of presentations expected from Roche at this year's meeting, Phase III data from the failed GOYA study for Gazyva (obinutuzumab) or Rituxan plus CHOP in patients with previously untreated DLBCL will be discussed. Roche will also present first Phase III data for Gazyva from the GALLIUM study, in patients with previously untreated follicular lymphoma. The drug is already approved in the second-line follicular lymphoma setting, but Roche will be hoping for strong data for Gazyva as a first-line treatment in order to gain a label extension. Currently Rituxan is the first-line standard of care therapy for follicular lymphoma; Roche will be aiming to transfer patients over to its follow-on product as more biosimilar rituximab products reach the market. AbbVie will present Phase II data for Imbruvica (ibrutinib) during the late-breaker session at ASH. The company is hoping for a label extension for its approved cancer therapy into chronic graft-versus-host disease on the back of this data. A filing for Imbruvica in this indication is anticipated in the first half of 2017. AbbVie will also show a host of Imbruvica data in NHL, including the Phase II DAWN study in follicular lymphoma. Imbruvica is already approved for mantle cell lymphoma (gaining a regulatory nod in the US Nov. 2013), CLL (Feb. 2014) and Waldenstrom macroglobulinemia (Jan. 2015). Celgene Corp. is presenting over 300 abstracts at ASH this year, including data from three Phase III studies of Revlimid (lenalidomide) in NHL and CLL. Leerink analysts highlighted in a Nov. 23 note, titled 2016 ASH Preview And Itinerary Planner, that "while not registration-enabling, the non-Hodgkin's lymphoma MAGNIFY data will offer evidence for potential success in the pivotal Revlimid trials in follicular lympohma (RELEVANCE and AUGMENT) that are expected to read out in 2017." Leerink analysts added that the CLL CONTINUUM data being presented at ASH will inform the advancement of Celgene's next generation immunomodulatory drug, CC-122, in this indication. Topline Phase II data for CC-122 in CLL are also anticipated by the end of 2016.